Coconuts are and have always been one of my favorite fruit, especially when I use them for cooking. The more coconut I add to a dessert, the happier I am and it surprises to hear that so many people are not big fans of it, including my husband. 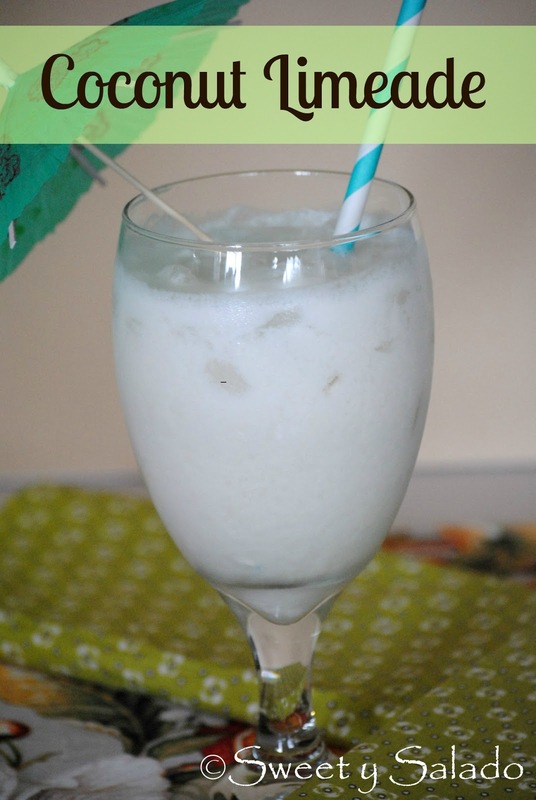 Coconut limeade is a very popular drink in Colombia, mainly in the northern part of the country, and even though I have never visited the Colombian Caribbean, that doesn’t mean that I can’t enjoy making it at home. Making this limeade doesn’t require too many ingredients and it’s really easy to make. 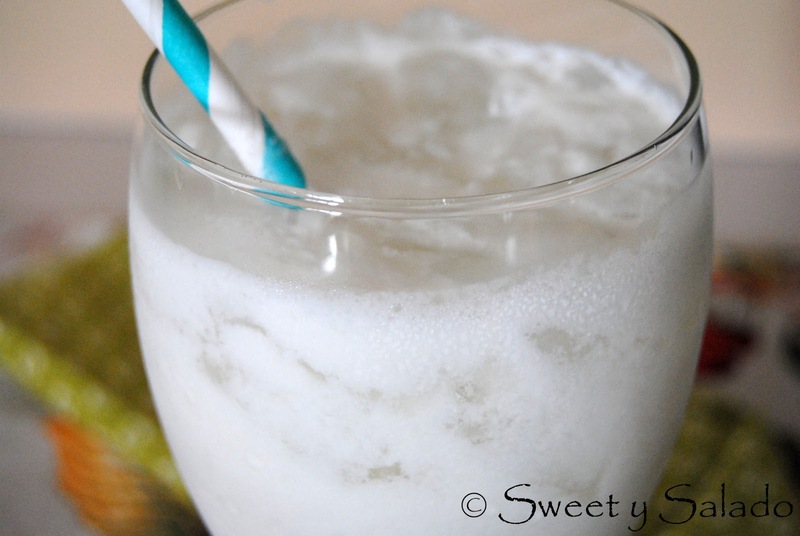 All you need is coconut milk, limes, sugar, cream of coconut and ice, that’s it. If you want a smoother, thicker consistency, just blend all the ingredients, including the ice. If you prefer it to be more liquid, which is the way I like it, just don’t blend in the ice and you can serve it in each glass separately. I’m not lying when I say that the combination of coconut and lime is delicious and I hope you try to make it at home. 1. Add coconut milk in a blender. Squeeze the limes and add the juice to the blender along with the sugar and cream of coconut. If you want a smoother, thicker drink, blend the ice with the rest of the ingredients. If you want it more liquid, don’t add the ice and serve it in each glass separately. 2. Serve immediately or store in the refrigerator.